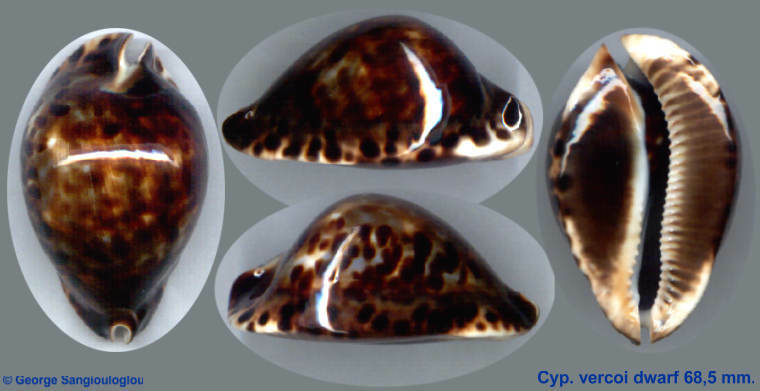 Cypraea vercoi dwarf 68.5 mm. Another dwarf vercoi from incredible depths. Lovely dark spotted piece with classical vercoi shape.